We are mountain and lake country with many types of outdoor recreation and adventures. We have community parks, a really nice golf resort, all types of camping, excellent fishing, scenic biking and hiking with great views and waterfalls. 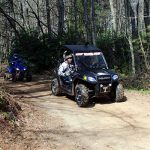 We also have water sports on a large pristine lake, peaceful horseback riding, some of the best motorcycle touring in the region and a recreation area providing miles of blazed ATV trails . We are an outdoor paradise offering something for just about everyone. 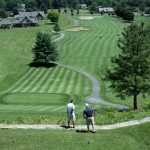 Johnson County is home to the Red Tail Resort, which is a top rated Tennessee golf destination, offering a challenging nine hole golf course in a beautiful mountain setting. It is a private golf course available to members, guests and visitors staying on site. The resort also offers a nice restaurant, a high end tavern and great lodging options. 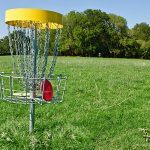 Our county has a good Frisbee Golf Course that is located in the Ralph Stout Park in Mountain City. The course was established in 2009 with great signage and regulation size baskets. 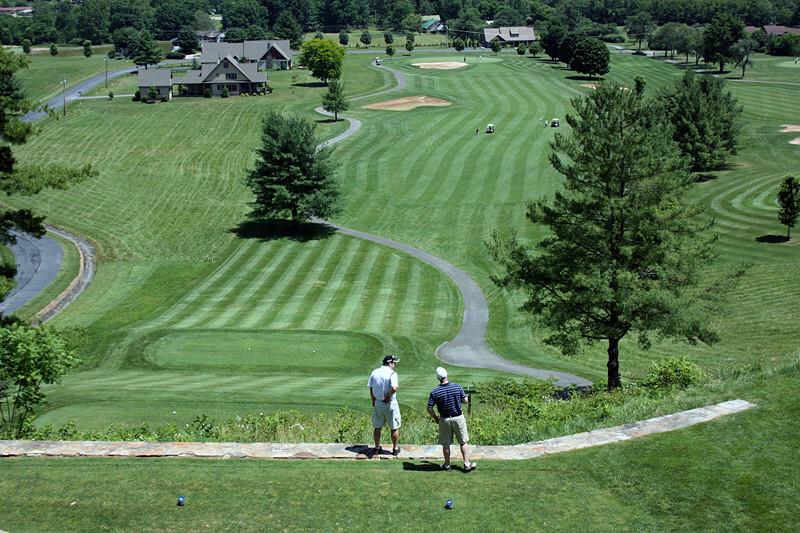 It offers 9 holes/baskets and is a Par 27 course. The course is 2540 feet in length over a mostly flat and lightly wooded area. This is a good course in a nice setting. 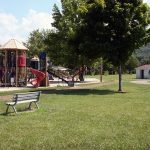 Our county is fortunate to have a nice community park located in the county seat of Mountain City. The Ralph Stout Park offers a great setting with mature trees, park benches, a beautiful pond with home geese and good walking trails. 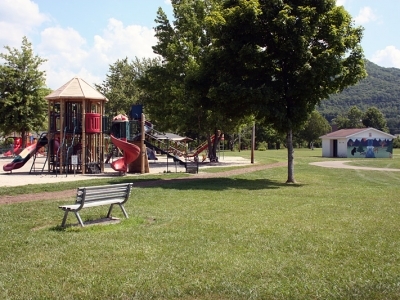 There is a large picnic pavilion, playground equipment, a baseball field and a skateboarding park. 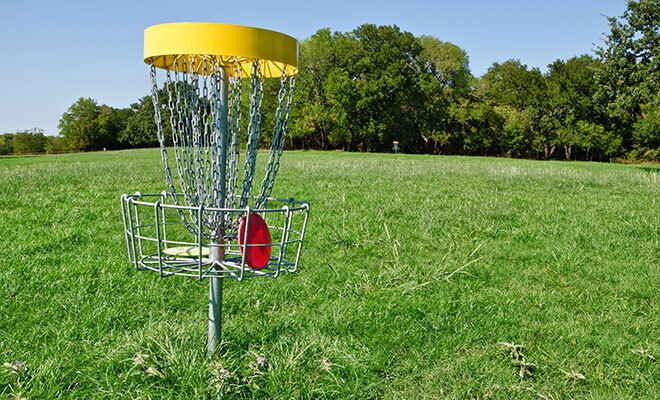 The park is also home to a really nice frisbee golf course, an excellent fitness trail and an outdoor stage for music events. The park also has the Johnson County Memorial Wall honoring veterans from our area. 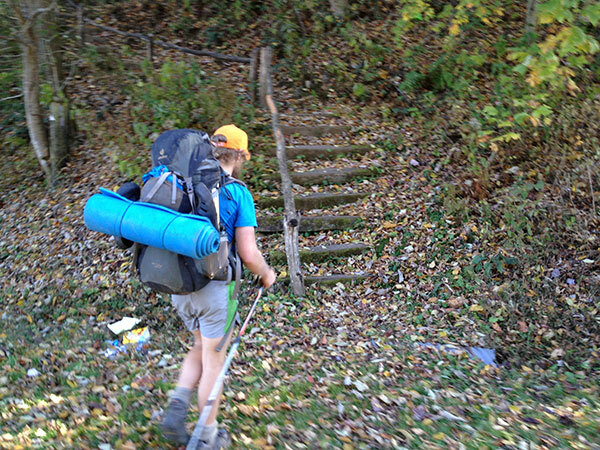 Our area offers some of the best hiking in the region. There are trails for all difficulty levels offering great views, waterfalls and historical sites. Laurel Creek Trail is an easy to hike wildlife haven in the Cherokee National Forest. The Cross Mountain Trail is a scenic moderate level hike that overlooks beautiful Shady Valley. Gentry Creek Falls Trail is a harder to hike back forest trail that crosses the creek 14 times as it meanders for 4 ½ miles through the deep woods to an incredible double waterfall. 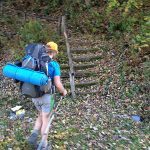 There are many more nice trails in our area including a good section of the world famous Appalachian Trail that travels through our county. Our area has some good on road and off road biking opportunities. Our on road choices include peaceful country roads, challenging climbs up mountains and thrilling downhill winding descends. 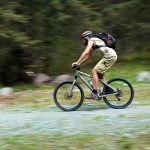 For off road biking enthusiasts, mountain biking is allowed at Doe Mountain Recreation Area on most of their Multi-Use Trails. For those who are seeking a milder trail biking experience, the famous Virginia Creeper Trail, in nearby Damascus, Virginia, offers an excellent choice. 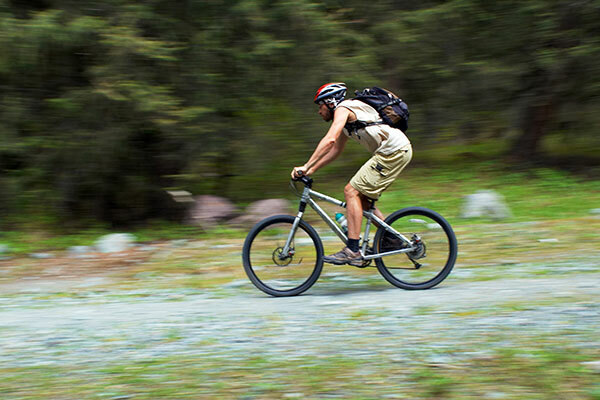 Here you will find many biking outfitters providing bike rentals and shuttle service. 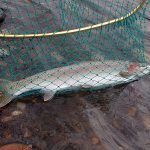 Our area is a fishing paradise offering some of the best fishing in our region. 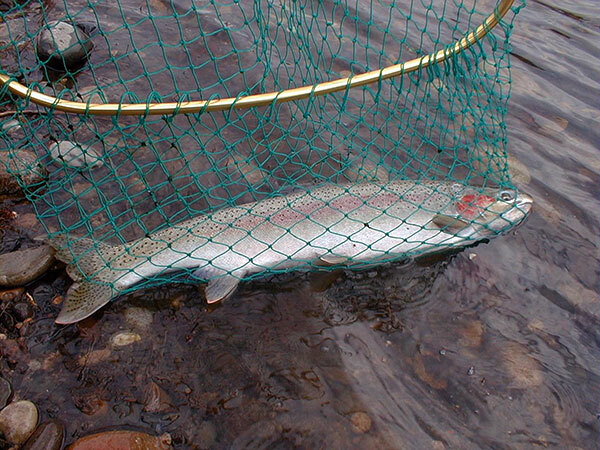 We have an abundance of creeks providing excellent fly fishing. 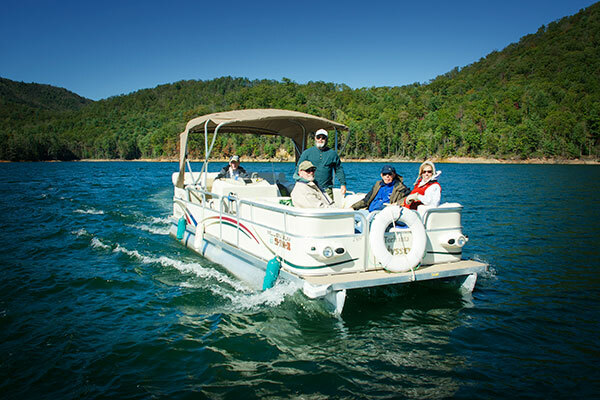 We are home to pristine Watauga Lake where you can enjoy some great reel fishing by boat and shoreline. We also are home to Doe Creek, known for its great fishing holes. There are several fishing guide services available for those seeking a guided trip. 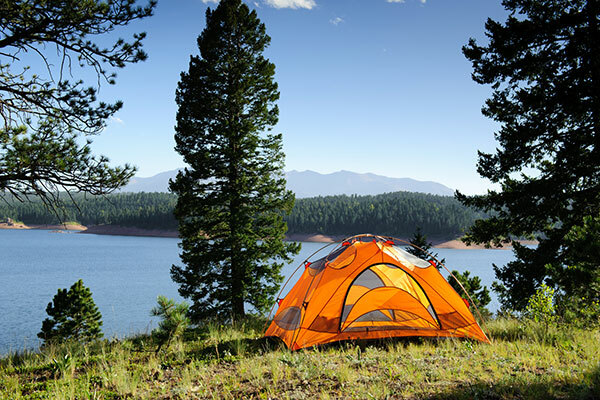 There are all types of camping available in our area from primitive camping to luxury camping. We actually have a full service campground located on the hill behind the Johnson County Welcome Center, which is part of our tourism initiative. 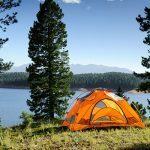 There are also several privately owned campgrounds offering everything from primitive camping to full service camping to clamping. 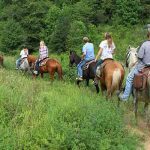 In our area, equestrians can choose between back roads, trails and wide open areas. We have many peaceful back roads choices all over the county. 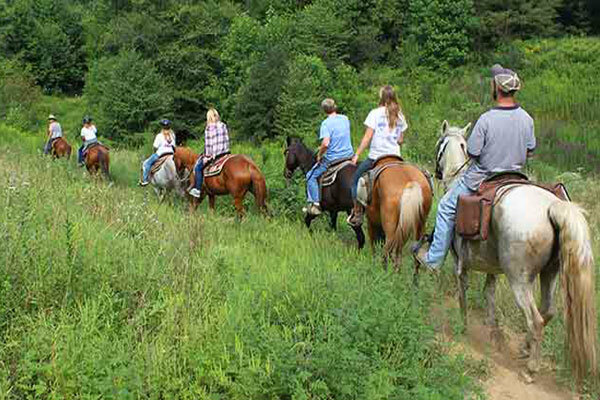 Horses are permitted on most Multi-Use Trails at Doe Mountain Recreation Area. In nearby Damascus, Virginia, horses are permitted on the famous Virginia Creeper Trail. For some longer trails with wide open areas, you can visit nearby Mount Rogers Recreation Area and Grayson Highlands State Park. These areas provide a series of trails and here you can access the 68 mile Virginia Highlands Trail. Johnson County is located on the north side of beautiful Watauga Lake, which is one of the cleanest lakes in America. Here you can enjoy a variety of water sports in an inspiring setting. There are public beach areas, picnic areas, campgrounds and boat ramps. There are a number of marinas on the lake to service the boat activity and to provide boat rentals. 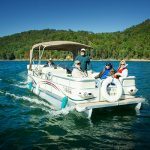 For those seeking other rentals or guided trips, there are also several outfitters available on or near the lake. 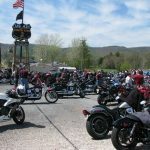 Our county is home to the famous Snake 421 Motorcycle and Sport Car Route. This route offers something for all types of riders. There are challenging tight curves, sweeping wide turns, exciting winding descends and easy to cruise sections. Here you can experience a beautiful valley, a lush National Forest, winding mountain roads and rolling farm land. 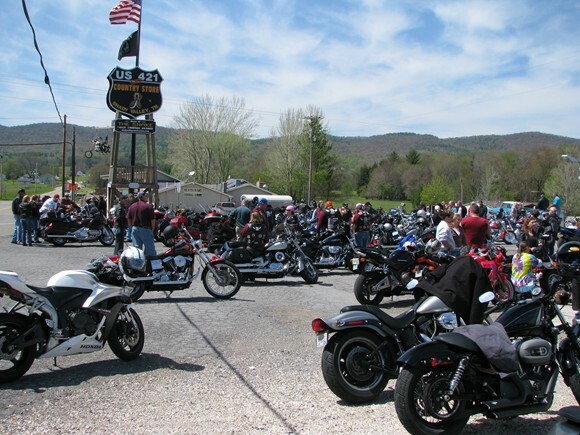 The hub for the Snake is the Shady Valley Country Store located at the main intersection in Shady Valley. We are proud to have the Doe Mountain Recreation Area in our county providing 8,600 acres of protected mountain terrain offering over 50 miles of blazed adventure trails. 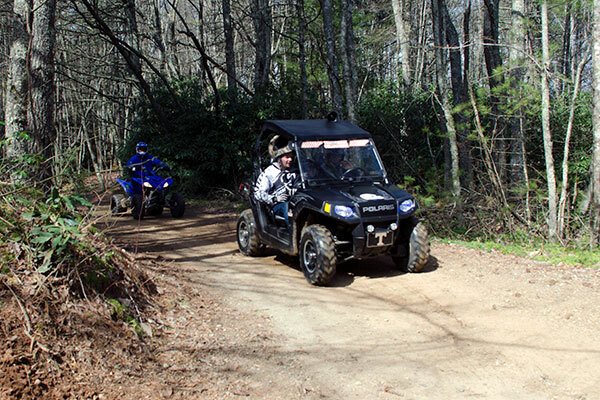 The most prominent type of adventure here is ATV riding. Here you will find trails of all difficulty levels. This is a great family wilderness area.